It's a FREE to use twitter-based initiative, aiming to remove the shame and stigma which surround depression, suicide and mental illness. It's how YOU think and behave that either adds to the hurt of depression or suicide or helps the sufferers. 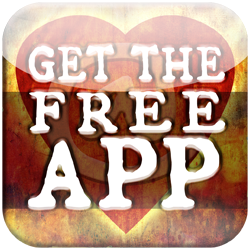 We have a FREE mobile app too, so information and help can be wherever you are. ​UK or Ireland. Free from any phone. Go to, or contact, the Accident and Emergency Department of your nearest general hospital. Don't hesitate - you wouldn't if it was your leg that was broken. Making a personal pledge to help ourselves, and help others, however we can, is a new way of instigating social change. We see "the" news, don't we? And feel powerless to help. Well this process turns that powerlessness into change for good. Here's two schemes, one we support and one of our own. We support the amazing . . .